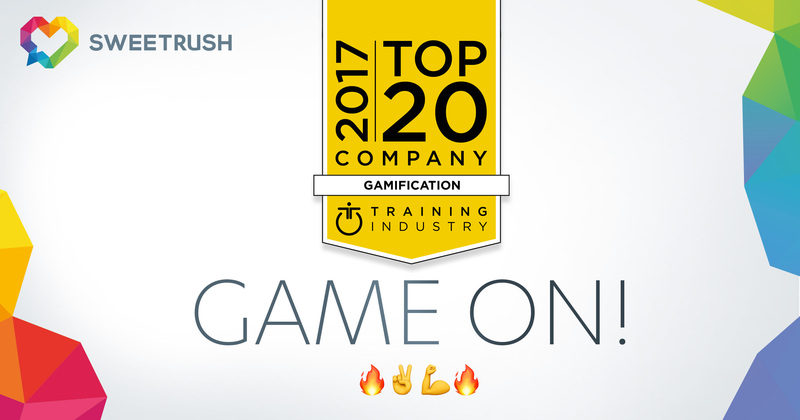 San Francisco, Calif., November 20, 2017 — Training Industry released its 2017 Top 20 Gamification Companies list and named SweetRush a top company offering gamification services for learning and development for the fourth consecutive year. View the complete 2017 Top 20 Gamification Companies list at the Training Industry website. Training Industry Inc. spotlights the latest news, articles, case studies, and best practices within the training industry and publishes annual Top 20 and Watch List reports covering many sectors of interest to the corporate training function. Its focus is on helping dedicated businesses and training professionals get the information, insight, and tools needed to more effectively manage the business of learning.